Show the galaxy who’s boss and have the most stylish hair for when you attract the paparazzi. After all being the secret princess and sister of Luke Skywalker is no measly matter. 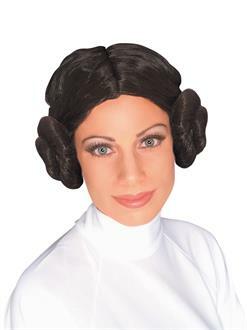 With this Adult Princess Leia Wig show off you looks that will make Han Solo swoon and leave other men in awe. This wig is the perfect addition to your next Halloween costume and is sure to steal the show. Included (1) Wig.